NOTE: The restaurant has ceased its operation and in place are Chatime and 102 – Taiwanese Cuisine. Yesterday marked another great milestone in the journey of Dragon9ine (九龍餐廳) with its Grand Opening after being in operation for more than 5 months. It now proved a better menu, a better style and a more mature chef who had extensive experiences from overseas, Chef Pele Khor. 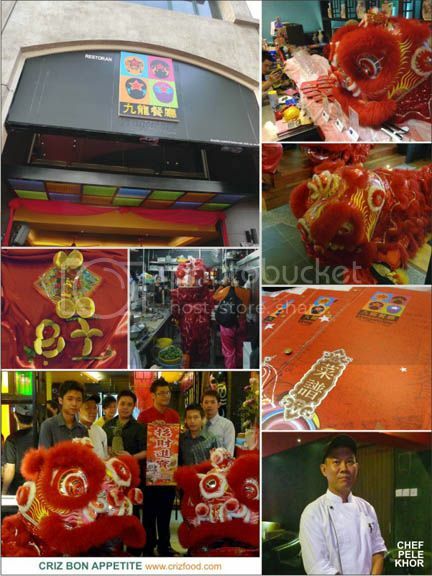 There was a lion dance troupe presence during the opening to give them blessings for a successful business venture. Dragon9ine is not too new in the scene of the F&B world in Malaysia as they are indirectly linked to other food & lifestyle outlets such as the BED Belissa Row, BED Autocity and BED E-Gate, RED Lounge & Karaoke, Sixty9ine Mansion (Batu Ferringhi) and MOIS. Dragon9ine has a unique ambience to suit the needs of different clientele. 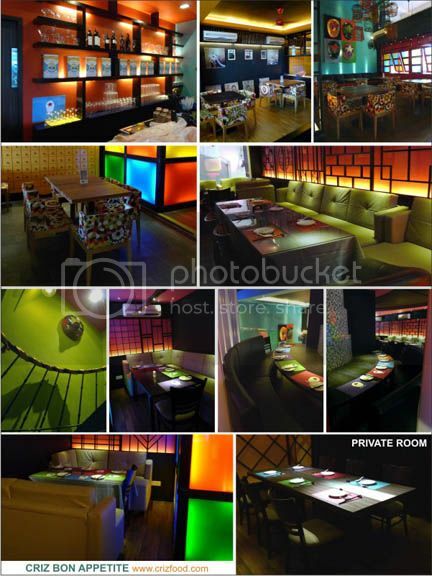 There are many dining areas with a touch of Chinese culture handy craftsmanship. It gives the al fresco feel but enclosed within the premises itself, suitable for any small gathering of friends and family. The upper level of the restaurant was built to suit more private dining, with the availability of a private room upon reservation. Rows of comfortable sofas with a much cooler and dimmer lighting, would suit those executives who would like to discuss some serious matters over some hot meals. There were some food served during the grand opening day but let’s just not touch on those dishes as they were just as typical as what any opening function would provide. 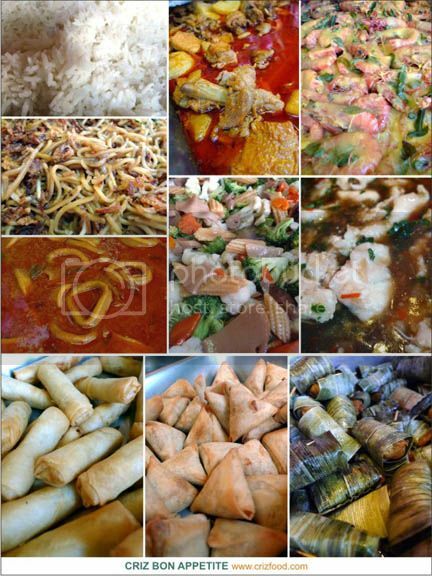 The dishes included steamed rice, stir fried yellow noodles, chicken curry, squid curry, fragrant butter prawns, stir fry mixed vegetables, fish in oyster sauce, spring rolls, potato samosa and pandan chicken wraps. Instead of the ala carte dishes which consist of their cool & light snack delights, shark’s fins, prawns, fish, chicken, beef, pork & spare ribs, tofu, vegetables, double boiled soups, noodles, congee, rice, desserts, fresh juices and coffee, I would concentrate more on what they have to offer for their fine dining dinner experience. At RM69.90+ (10% service tax – min order 2 pax), you would be served with 11 items, ranging from entrée, main course, dessert to beverages. Please note that the items would be changed from time to time to suit the needs of the diners. 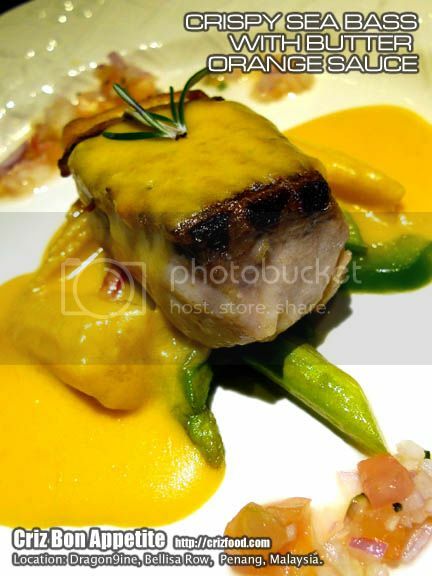 The entrée consisted of 4 items served on an individual square plate. 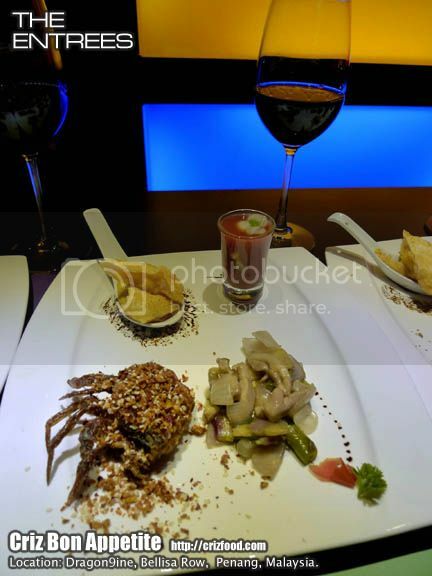 The first item was the Golden Sand Soft Shelled Crab (金沙軟殼蟹). 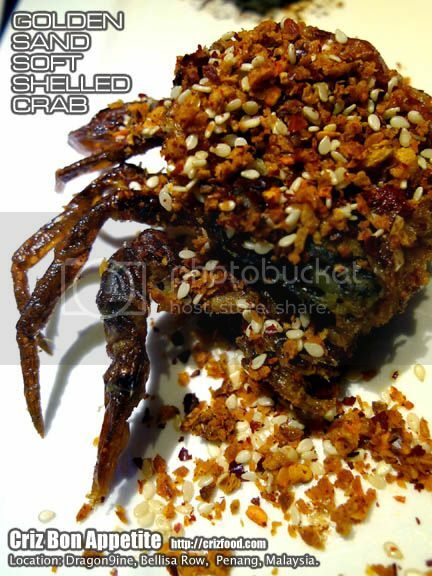 It had half a batter deep fried soft shelled crab garnished with a concoction of chili flakes, garlic flakes, five spice powder, salt and toasted sesame seed. It was simple but yet appetizing to my liking. 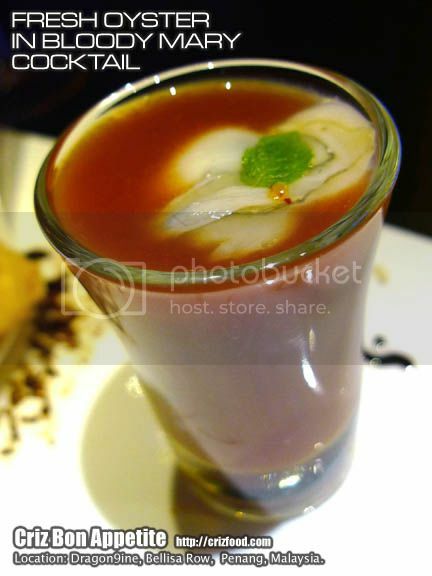 The next dish was the Fresh Oyster in Bloody Mary Cocktail. The name itself is self described. The dish had one big fresh oyster drowned in a shot glass filled with some Bloody Mary cocktail. The cocktail was actually a bit of fusion from the original with pure tomato juice, HP sauce, balsamic vinegar, Tabasco sauce and lemon juice with a dash or two of vodka. Although the oyster was fresh, not all of us could consume the acquired taste of the seafood. Moreover, the Bloody Mary recipe was more towards cocktail rather than as a sauce to complement the oyster. It was rather mild with the lack of distinctive spicy flavor from the Tabasco sauce and a bit of black pepper sprinkles. Overall, it was still fine for most of us. There was also the Ginger & Spring Onions Fried with Chicken. The chef played a safe hand in having chicken slices in this serving rather than having beef slices as not many people here are acceptable to beef. 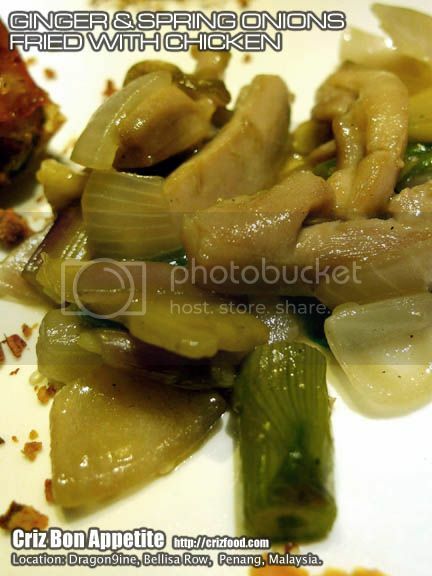 Overall, the taste from the ginger slices and spring onion stalks matched well with the chicken slices too. The last dish on the entrée included the Mango Prawn Spring Roll. We were all impressed with how the chef could come out with this delicious combination. 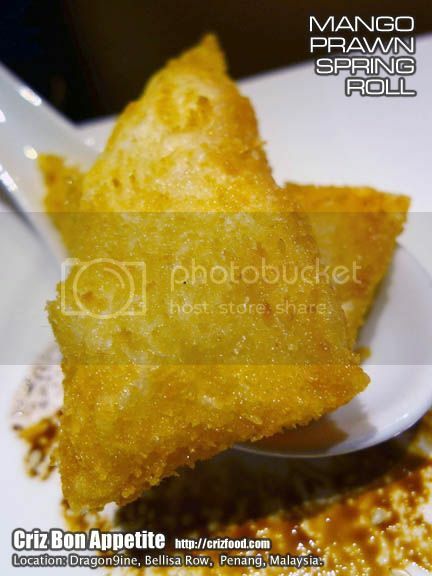 The tempura-like texture spring roll has the freshness from the well marinated pounded prawn paste plus the unique flavors from the mango. Perfect! The Main Course also consisted of 4 items, served on individual plate. The first course was the Smoked Duck Breast Meat with Mongolian Sauce. The serving style was quite similar to that of the Peking Duck or Roasted Piglet. 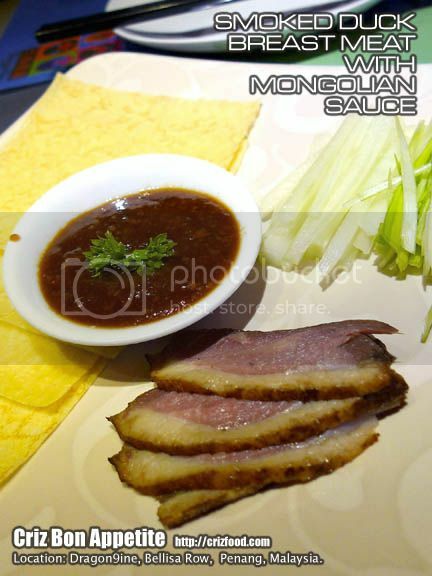 It has four pieces of thinly sliced smoked duck breast meat served with crepes, spring onions, sliced cucumber and served with their version of Mongolian sauce. All you need to do is to place everything onto the crepe, wrap it up and enjoy the nice flavors from the combination of ingredients. Everything was just fine, except that I would prefer the sauce to be a bit more concentrated with a stronger taste from the blended ginger. Moreover, spring onion bulbs should be used here for that extra flavor rather than sliced leaves from the spring onions. The next course was the Fried Tofu and Minced Prawns in XO Sauce. 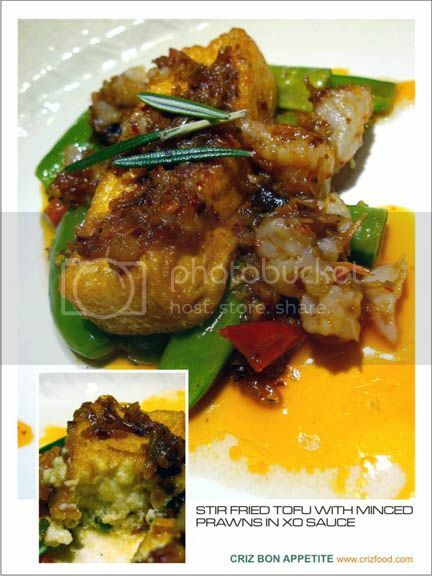 I always could not resist the taste of XO sauce cook with just any dish. The spicy seafood sauce which originated from the Hong Kong Cantonese cuisine scene was something that could be rather addictive for spicy food lovers just like me. The fragrance from the dried scallops and dried shrimps soaked in Sake (as some do) prior to cooking, combined with the nice flavors from the sliced Chinese ham, shallots, garlic, oyster sauce, dried chilies, black pepper, brown sugar with a touch of salt, had the unique taste that would make just anyone yearning for more. With the extra flavor coming from some stir fried minced prawns, capsicum, snow peas and snap peas (I wished they would just get rid of the fiber for a smoother bite), this combination was almost perfect. If not for the deep fried tofu which I found to be lacking in some silky smooth beaten eggs, I could have just this dish over a few bowls of hot steaming rice. More seafood dishes were served as the main course such as the Crispy Sea Bass with Butter Orange Sauce and Tempura Greens. The chef had marinated the sea bass fillet with some salt and herbs prior to pan grilling it to get that crispy sensation. Well, it was salty indeed, almost like the fillet has been salt-baked, but it went well with the chef’s special concocted butter orange sauce. This fish was served on a bed of fresh young corns, capsicum and asparagus, along with some salsa like condiment of chopped tomatoes, onions, lime juice and herbs. It was a nice dish, except that they should have got rid of the fibrous skins from the asparagus stems for a smoother bite. The last main course was the Stir Fried Seafood “Yee Mee” Noodles with Grandma Sauce. The name of the dish had me in stitches which made me asked the chef why there was no Grandpa sauce. LOL! This dish had almost the same taste as Aglio Olio with a more significant flavor coming from some stir fried dried chilies. 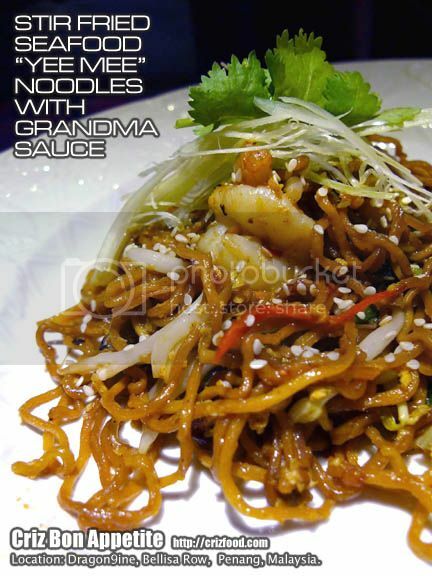 It had a mild spiciness and combined with the toasted sesame seeds, it was a palate of heavenly fried noodles. Although the flavorful noodles dish was perfect to sum up the meal, it would even be better if wanton noodles were being used here for a more al dente texture. Sweet desserts are always the best dish to have towards the end of most oriental cuisine and Dragon9ine did not disappoint me by serving us with their Sweetened Red Beans served with Tang Yuan (glutinous rice ball). The blended azuki beans dessert had just the right sweetness to my liking. 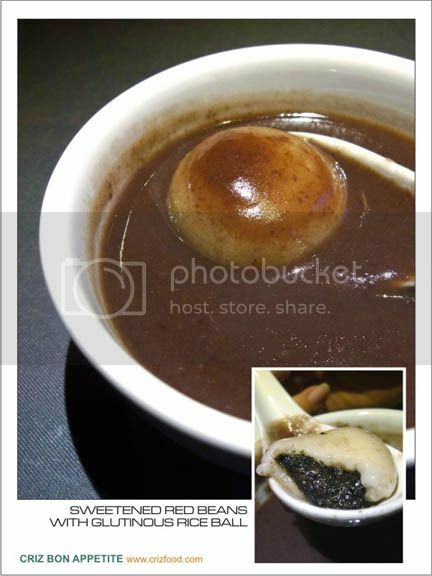 Moreover, the tang yuan was another bonus to us as it came with sweetened black sesame seeds filling. The combination was perfect. The set dinner package also included two types of beverages such as the Provence Lavender Black Tea and a glass of Red Wine. These beverages would also be dependable on the availability. Instead of the “Herbs de Provence”, they might replace with another type of herbal tea. As for the wine, I would think that the management would be glad to replace it with other beverages for those not alcohol consuming diners. Overall, the fine dining dinner menu was creative and up to par compared to my other visit here during their initial shop opening. I hope with a new and committed chef, this restaurant would be the next ideal place for diners to enjoy their food in a stress-free and comfortable environment. However, the service here is still a bit slow as per before. I hope the staff would be more service oriented and knowledgeable in the future. It’s not hard to locate the double shoplots restaurant as it situated along Bellisa Row in Pulau Tikus, Penang. 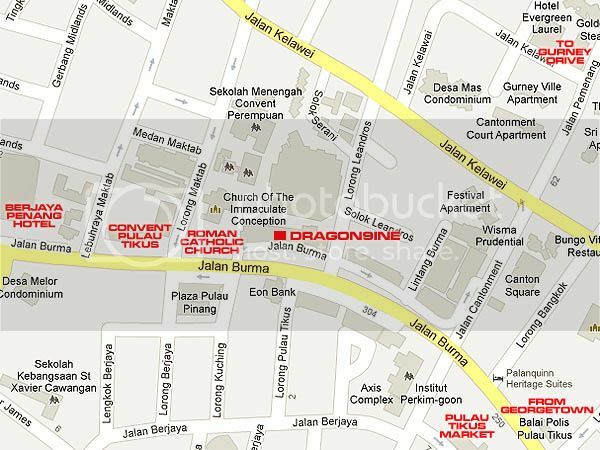 If you are coming from Jalan Burma towards Mt. Erskine, drive all the way pass the Jalan Burma/Jalan Cantoment traffic lights. About 300m away, you would see Bellisa Row just before the Church of The Immaculate Conception (Roman Catholic Church). Turn right into the service road and find a parking space. 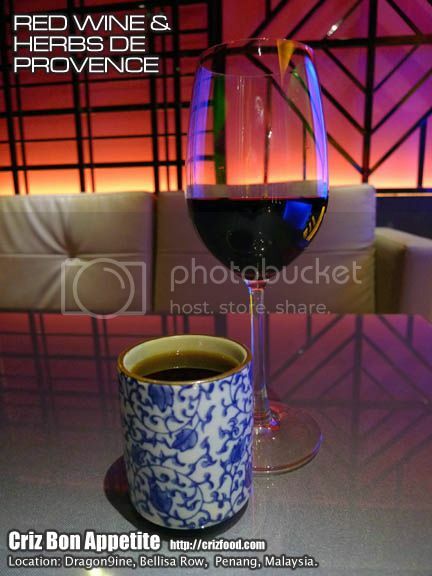 The restaurant is just along the row of shoplots just next to the RED Lounge & Karaoke. Address: 368-1-5 & 6, Belissa Row, Pulau Tikus, 10350 Penang, Malaysia. I like this fine dining style for chinese cuisine. Do intro more such places!